A bit chilly in the tent last night! It was about 40 degrees or so. Not the coldest night I’ve ever had in the tent, but definitely not the optimal sleeping temperature. Still slept alright though :) Hopped back on Highway 23 from Banning State Park and continued until Duquette. Had an early lunch there at the Duquette Tavern. Listened to an amusing conversation that included one individual dropping their cell phone in an outhouse. I could definitely tell this was Minnesota by the accents the people used. I wouldn’t have it any other way though! 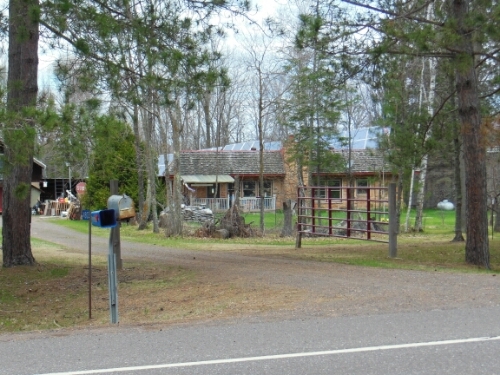 I decided to stray off of Highway 23 a few miles after Duquette, seeing that this would cut off a few miles from my day. This decision led to 6 miles of dirt roads however! 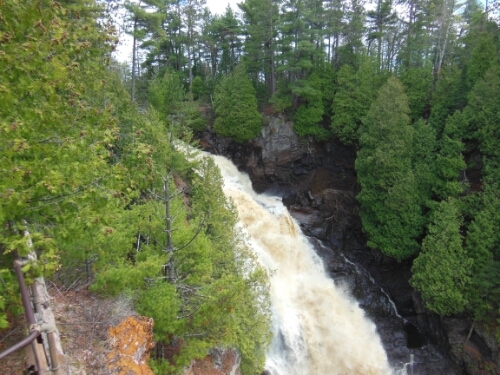 I biked by Pattison State Park – the Big Manitou Falls are pretty awesome. Staying tonight with some wonderful hosts. Larry Hoff is definitely one of the more interesting people I’ve met. He is an avid cyclist, hiker, and canoeist. 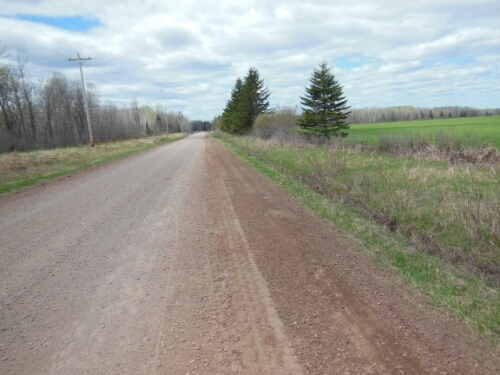 Check out his website here: www.lhoff.com Dirt Road Biking Big Manitou Falls Solar Panels!